Provide your customers with immediate seamless support by replacing emails and texts with videos. Resolving issues quickly reduces time to resolution and increases customer satisfaction. It is a challenge to explain a solution over a call/mail. Instead of telling, simply record a video and show your customers how exactly an issue can be resolved. 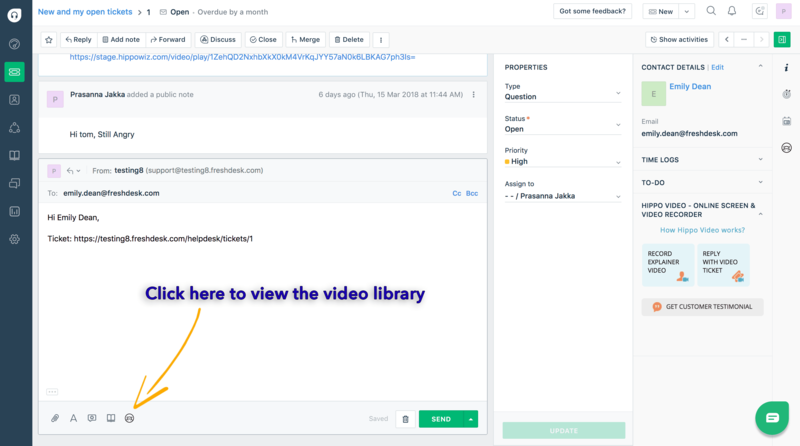 Customers can watch the video whenever they want and can also revisit the video. Building a deeper connection with your customers matters more than customer satisfaction. Serve your customers with engaging and personalized video support to establish meaningful customer relationship. Try it yourself. It’s free. 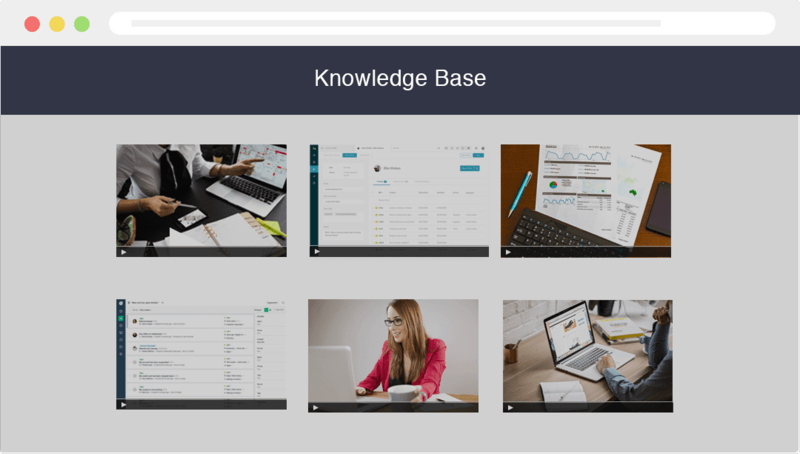 Invest in a quality knowledge base and create short product videos to make it easier for your customers to help themselves. Customer self-service reduces the burden on your support team. 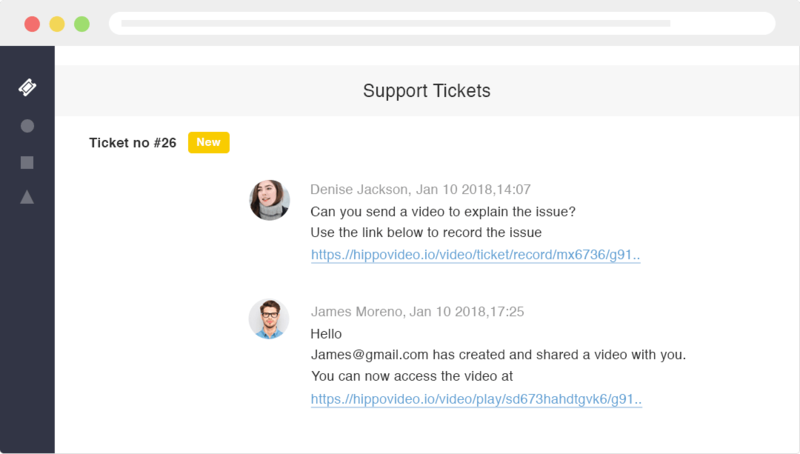 Give your customers the freedom to raise video tickets right inside the end user support form. 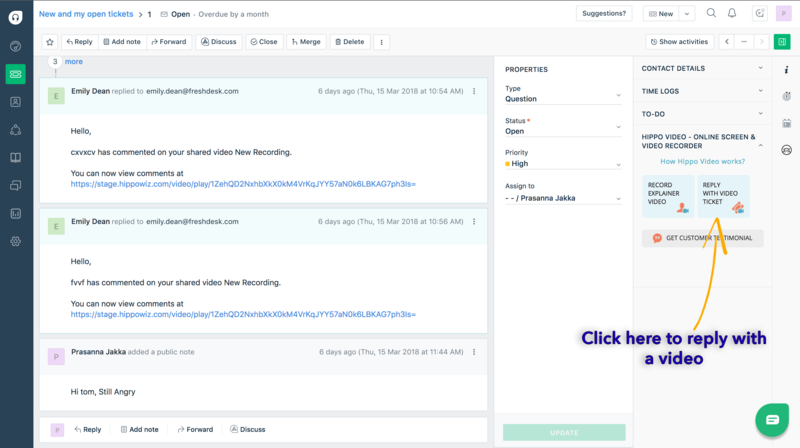 This way, you can easily capture customer issues as they record. Nothing sells a product like a good customer testimonial. Let your customers share their journey in a more engaging and relatable way with videos. 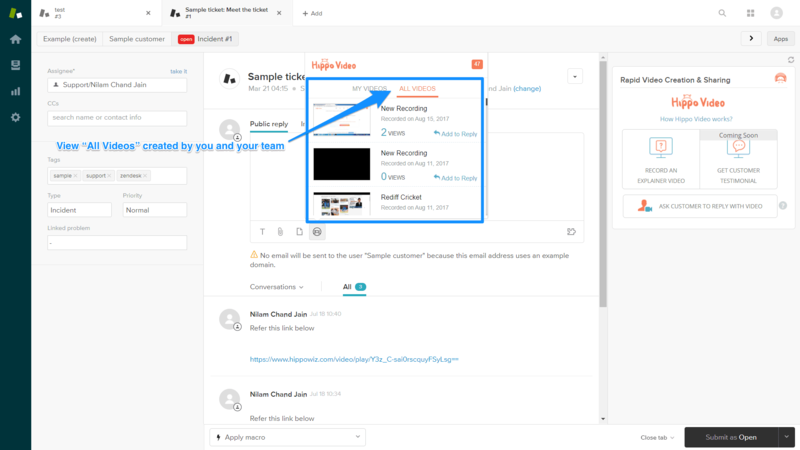 Simply share a link with your customers and let them record their feedback through that link. It is super easy and takes only 2 seconds! Once you are done with this process you will automatically be signed up with Hippo Video. 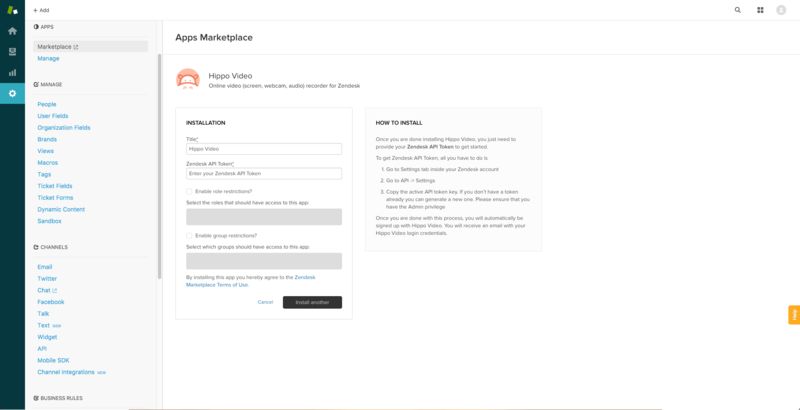 You will receive an email with your Hippo Video login credentials. 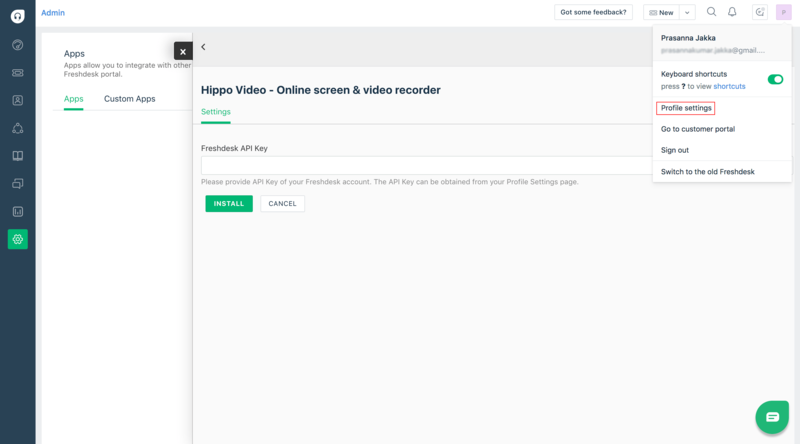 You can now access the Hippo Video widget from inside Freshdesk. 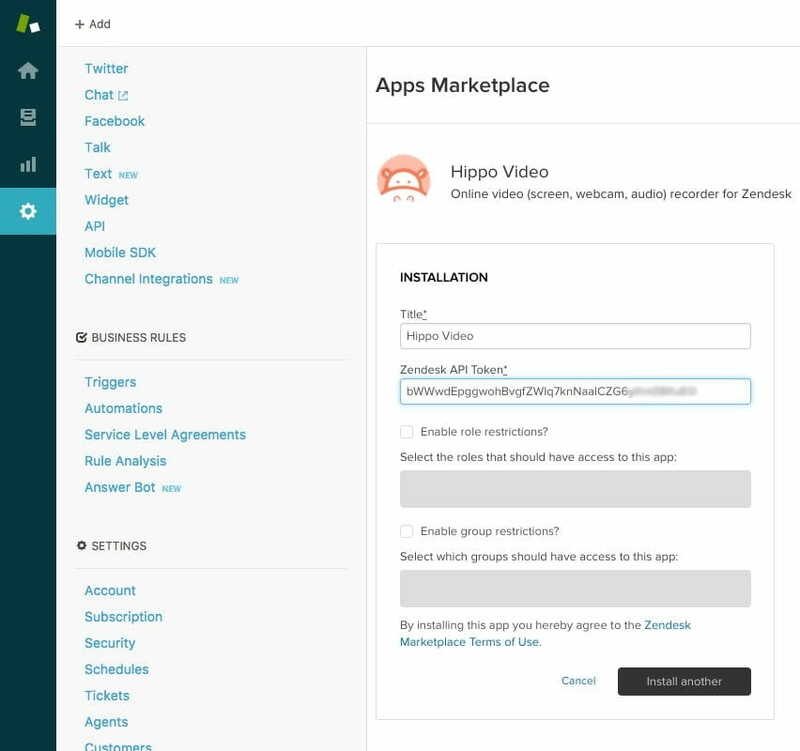 You can now access the Hippo Video widget from inside Zendesk. 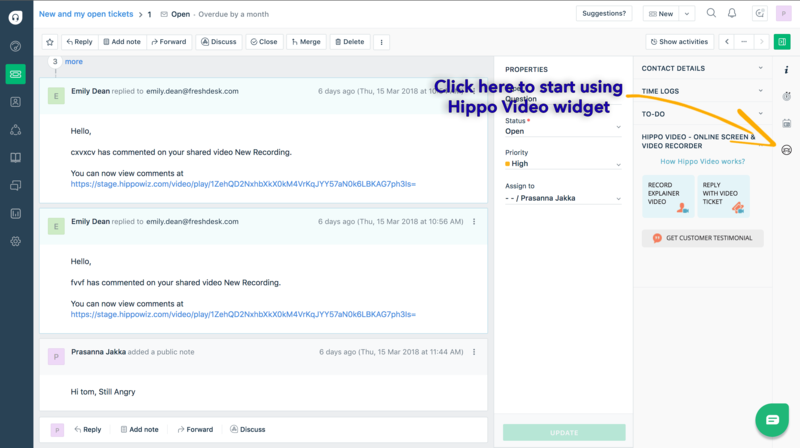 Hippo Video lets you record your webcam/screen and share them with your support team. 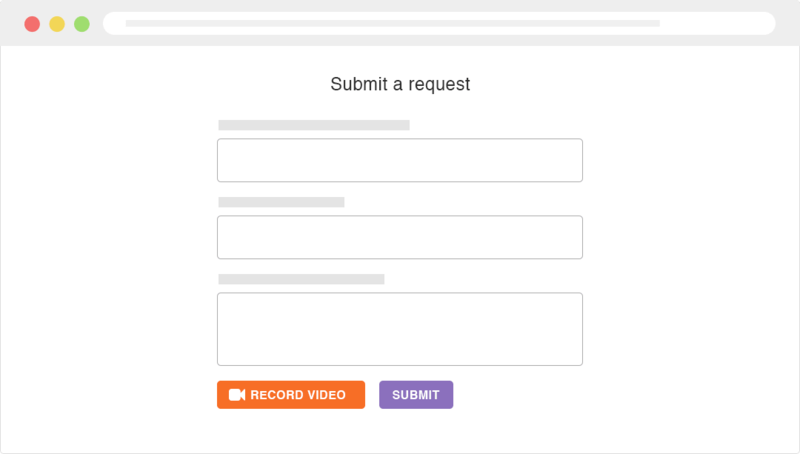 Hippo Video’s super easy interface makes it simple for your agents and customers to create videos. Click on the URL provided below to install Hippo Video. Once you access the URL, you will be directed to the installation page. 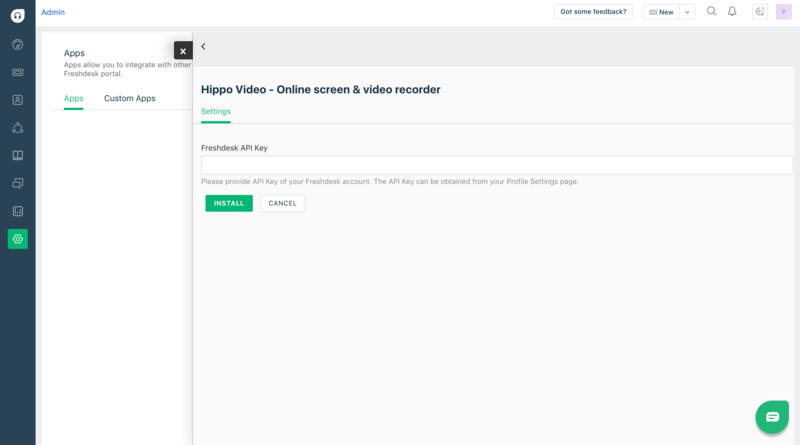 You can install Hippo Video for ‘Admins’, ‘All users’ or ‘Specific profiles’. Once you select your need, approve Salesforce to communicate with Hippo Video and click ‘Continue’. Now, Hippo Video starts installing and might take 1 or 2 minutes to complete. 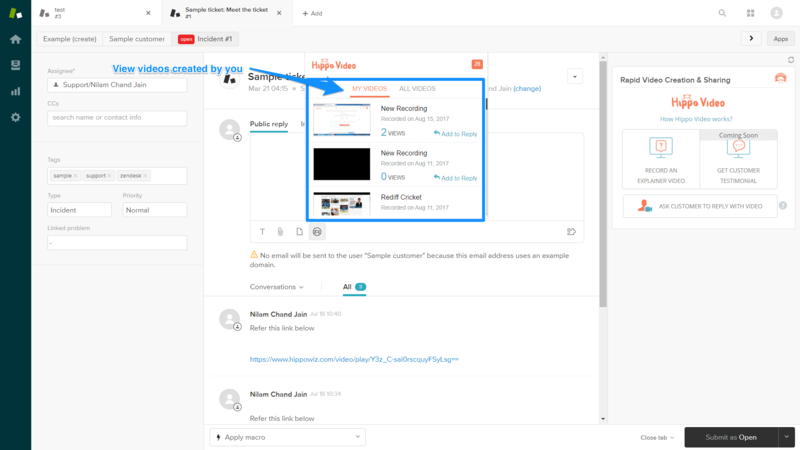 As soon as the installation is done, an admin account with your email-id will be created automatically with Hippo Video. 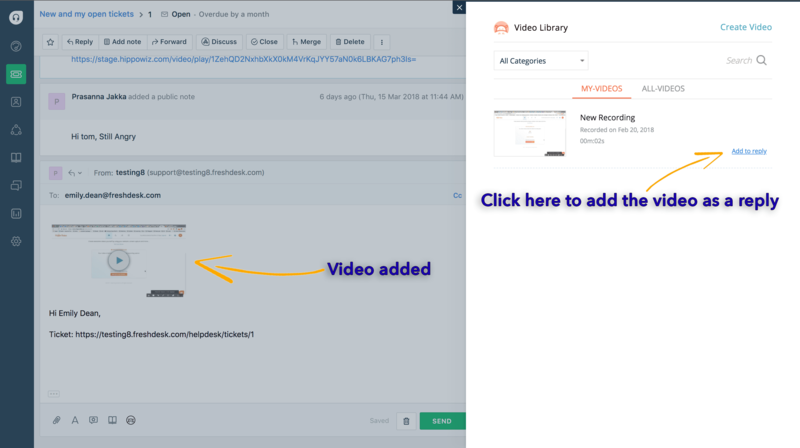 P.S: Hippo Video widget works only with Salesforce Lightning UI. Now, click on any one of the tickets available. Go to Edit Page. In the ‘Lightning Components’ pane, you can see the app builder. 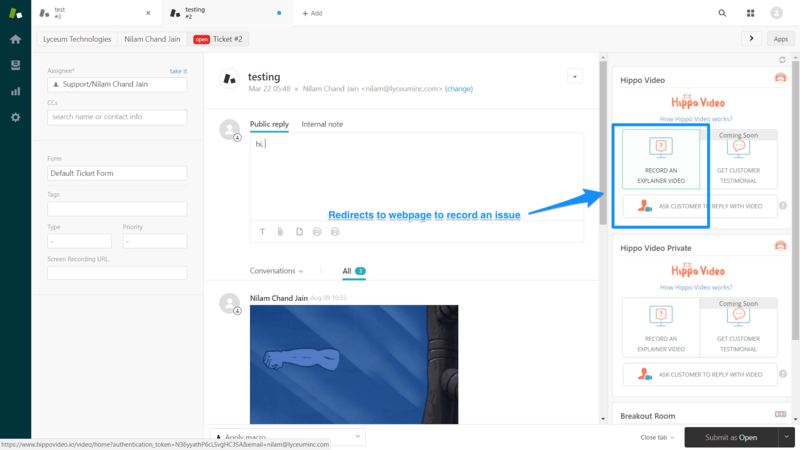 Now, drag and drop the Hippo Video component to the page layout. Click ‘Save’. 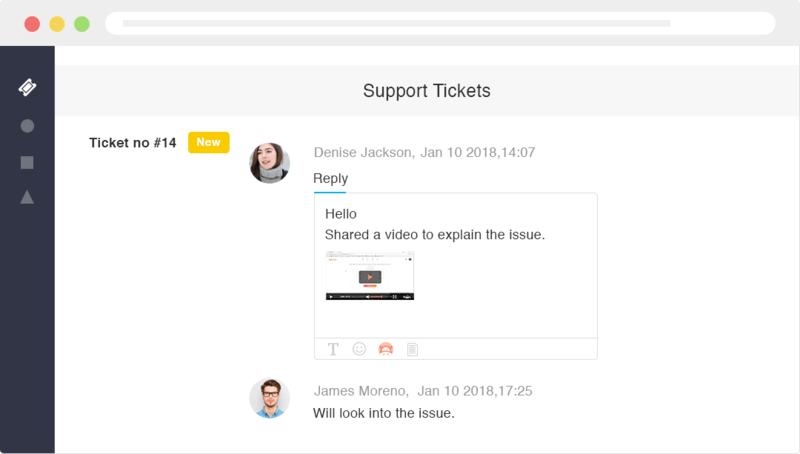 Finally, you’ll be redirected to the Ticket page and you’ll notice the Hippo Video component. Go to and select the ‘Setup’ option. Now, type ‘installed packages’ in the search bar provided and select ‘Installed Packages’ option. Under ‘Installed Packages’, click on ‘Configure’. Now you can see the list of your organization users in a new window. 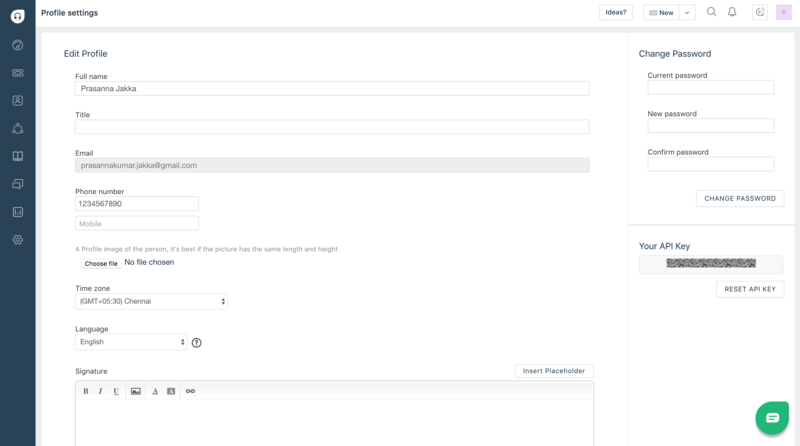 Alternatively, you can select the ‘Package Name’ and click on ‘Configure’ to add and select users. After you click on ‘Add users’ button, all the users you selected will be added to Hippo Video automatically. 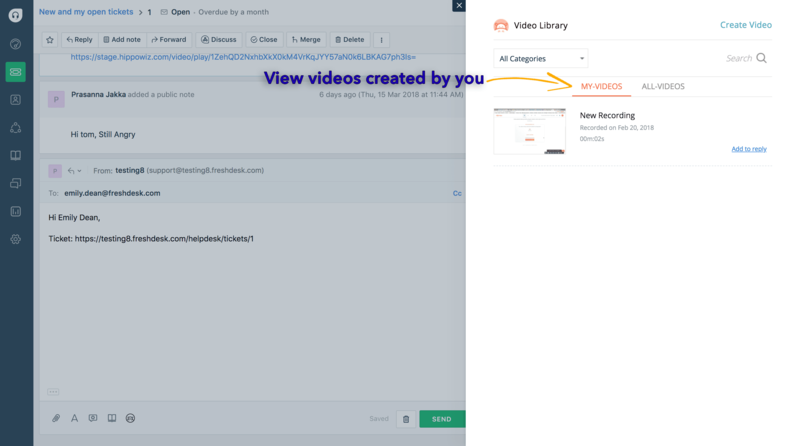 Now Hippo Video widget will appear in your user's accounts under 'Case Tickets'.Once the setup is done, you can record a video and share it with your customer, or select an existing video from your Hippo Video library. 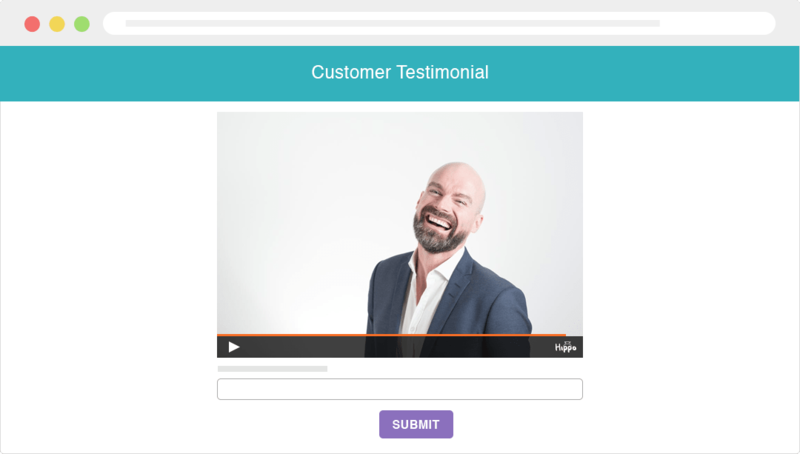 You can also share a link with your customer to record a video testimonial. 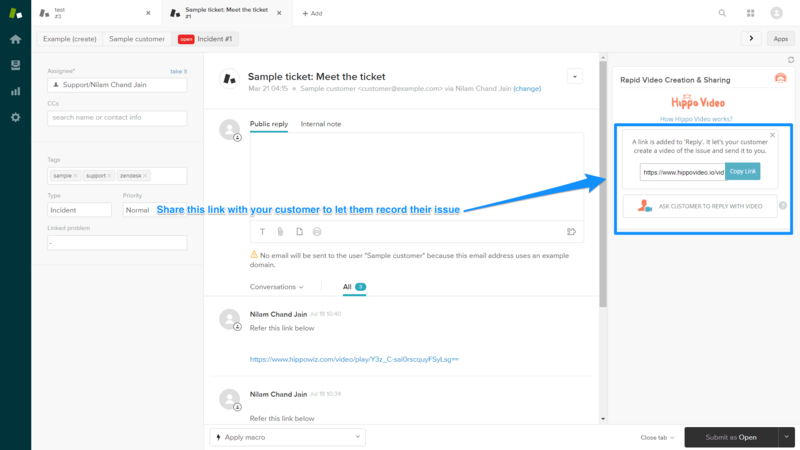 Customers can also record their issues from the link you share.